​at the Unionville Community Center! 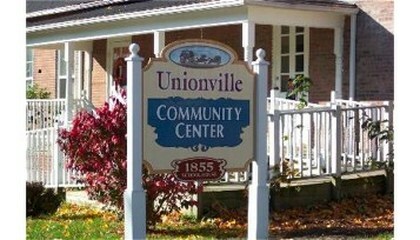 Did you know that you can rent the Unionville Community Center? The Community Center is available for rental year-round. Located at 7830 West St, Madison, OH, the facility contains a large kitchen with all amenities, and a spacious main room boasting 600 square feet of space, accommodating up to 75 guests. Rental fees are a modest $10/hr for Unionville residents and only $20 per hour for non-residents/businesses. A security deposit is required. Please inquire for more information or view the rental contract located below. Please inquire at (440) 417-4544 (ask for Laura) for more information or unionvilleboosters@yahoo.com.